In the page "Exponent rules" we are going to learn about what does mean by exponents,what are laws used in exponents and example problems. 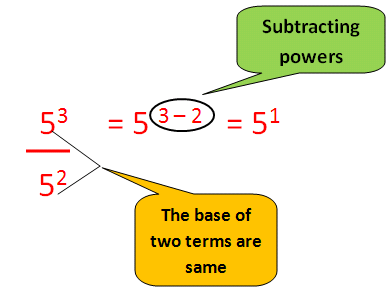 In words 5³ could be called as 5 to the power 3 or 5 cube. 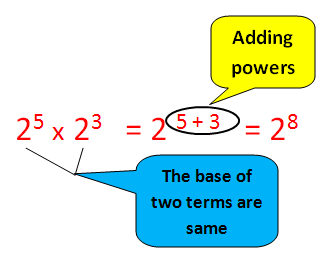 When we have to simplify two or more the terms which are multiplying with same base,then we have to put the same base and add the powers. Whenever we have two terms which are diving with the same base,we have to put only one base and we have to subtract the powers. Whenever we have power to the power,we have to multiply both powers. Anything to the power zero is 1. If we have same power for 2 or more terms which are multiplying or dividing,we have to apply the powers for every terms. This rule is not applicable when two or more terms which are adding and subtracting. 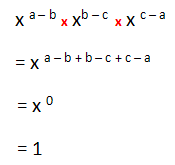 How to move an exponents or powers to the other side ? 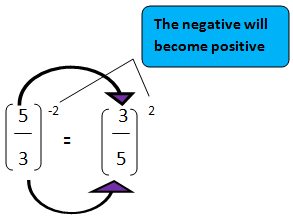 If the power goes from one side of equal sign to the other side,it will flip. What is exponent and power? 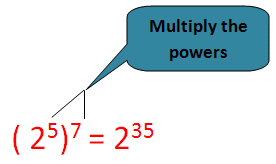 The other names of exponent are index and power. 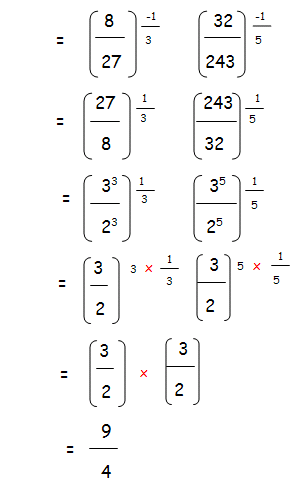 Now you can some practice question.You can try these problems based on exponent rules. 1.Express m x m x n x n in exponential form.